Shopping for, buying or receiving jewelry as a gift is the best, isn’t it? This is the season for exactly that, with graduations, weddings, Mother’s Day, just to mention a few, right around the corner. Fret not. 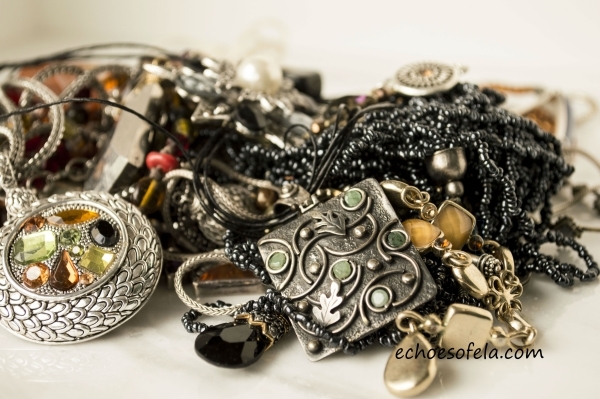 I did some homework for you and gathered some of the best, unique, stylish and simple ways for you to not only store, but show off your baubles even when they are not busy adorning you! 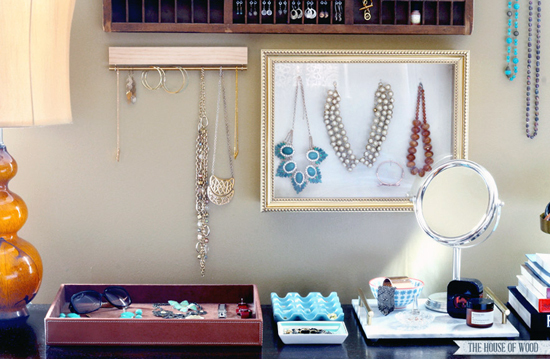 There is certainly no shortage of outside the box DIY jewelry display ideas! * Please be courteous and pin from the original source!!! I heart organizing has been one of my favorite organizing blogs for some time. Jen and her fellow contributors never disappoint and her clean bright style is like a breath of fresh air! The next one is a little more recent. I always love using familiar items in a different way! It is a post by one of her contributors and in it you can find detailed and simple instructions how to make your own! Just click on “source” – it’s all right there for you! Here’s a nifty way to reuse an old spice rack! Make it yourself or even better: buy it on Etsy from this shop. The link above will take you to a blog post that features several cool and simple ideas! 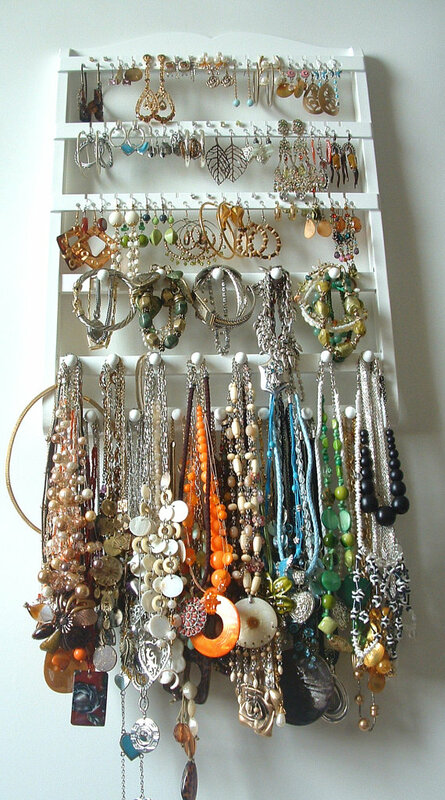 There are sooooo many more creative solutions for not only storing and organizing your jewelry, but for making it part of your home decor! Have I inspired you to take your baubles out of that drawer? Have you come up with a unique solution? Feel free to share! I hope your weekend is as pleasant as ours is shaping up to be with balmy temperatures at last here in Ohio! Enjoy the Kentucky Derby tomorrow! 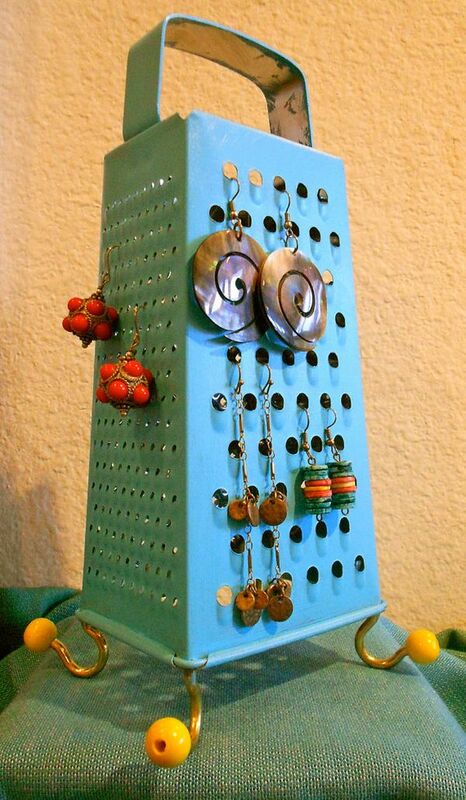 Oooooooo, I love the cheese grater idea! I’ll never look at them the same way again either! A few years ago, I was searching the internet for a way to store and display my earrings and found the coolest display made out of copper tubing. I liked the first one so much that I bought a second one. Yikes, it’s Kentucky Derby weekend? I had no idea – haven’t seen a thing about it on the news. Thanks for the heads up! Thanks Dawn! 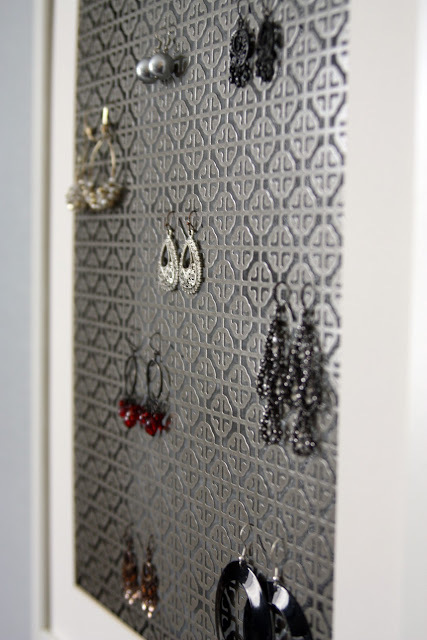 I will have to go out and find some cool cheese graters myself and convert it into an earring display! The one I own looks too new! Derby weekend snuck up on me as well!